I believe in teaching my students how to swing the golf club with a bio-dynamic approach. Swing the club the way YOUR body is designed. Everyone is built differently — so we are all going to swing the club differently. Studies have shown there are over 3 trillion ways you can swing a golf club. Using a bio-dynamic approach, I can customize a swing solution that is specific to every student. Give Watts Golf ATX a try and learn how to hit the golf ball like an athlete! Watts Golf ATX offers programs for golfers who want to get their golf game to the next level. These programs are designed to cover all aspects of the game in a private coaching setting to guide you towards sustained improvement and lower scores. Your personalized golf bio-dynamic program will be developed based on an initial Full Game Assessment and a curriculum will be built to address your specific performance gaps through a customized program. I am very fortunate to teach at the Star Ranch Golf Club. 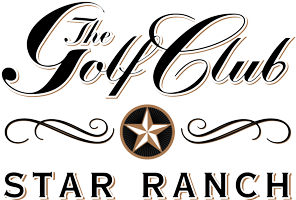 Star Ranch has one of the best practice facilities in the Austin area.